The First Hybrids with Jailbreak Distance Technology. Rogue Women’s hybrids are engineered to suit a woman’s game. Women's Rogue Hybrids is rated 5.0 out of 5 by 21. Rated 5 out of 5 by The golf lady from Most unbelievable hybrid I have ever played! I am a single digit handicap and I am looking forward to an even lower handicap using these hybrids. I took every wood out of my bag because you can hit these hybrids off the tee, fairways and the rough. These are truly the most incredible Hybrids I have ever played with in my life! Rated 5 out of 5 by Angie from New clubs I love my new rogue hybrids. I purchased the 8 - 3 hybrids along with the driver and 4 wood. I have been hitting them for a few weeks now and love them. I get more distance than my older clubs. The only thing with my purchase was I did a trade in and it’s been almost a month and I still have not received my credit for the trade in, I am sure they will process it soon. I had great service with the purchase and they came fast and great condition. I would recommend these clubs if you are looking for a great club. Rated 5 out of 5 by Anonymous from this club is a game changer I love this club. It has improved my game immensely. One of my biggest problem was my second shot. I had difficulty hitting my fairway woods and long irons. This club has reduced my overall score. I love it. 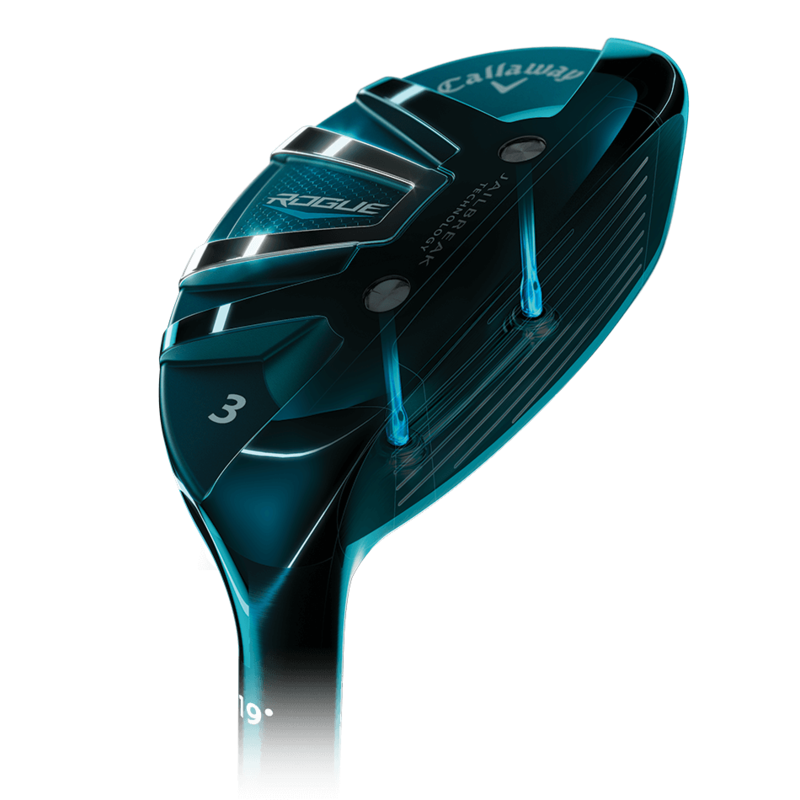 Rated 5 out of 5 by AnnieG from Most forgiven hybrid I use the Big Bertha hybrid which I loved but the Rogue surpasses it by far. Rated 5 out of 5 by Cope from Nice feel. If hit right it goes a long way!!! This is a great club out of the tall grass for distance. I like the feel. Definitely goes further than the XR16. Rated 5 out of 5 by Zippity from 7 and 7 Hybrid Callaway Ladies These two clubs have taken strokes off my game. I’ve replaced my 7 and 8 iron with the two hybrids. They are so much easier to hit and more accurate. Rated 5 out of 5 by Anonymous from Lower your handicap! I am a high handicapper - I have found these hybrids extremely easy to hit and my distances are consistent - they have lowered my handicap! And just as an aside, they look great too!!!! Everyone should have them!!! Rated 5 out of 5 by Lisa from Nice hybrids! I am enjoying my new hybrids from Callaway pre-owned. They came to me fast and looking very new!